As eco-art grows in popularity, this activist is progressing toward creating artwork with a message of peace. As a young girl growing up in Orlando, Krystal Pherai was very creative and loved to do anything arts and crafts related. As time progressed she began to lose herself in her art, not knowing in which direction she should go next. Similar to many artists she didn’t stop looking for the next direction until she found it. After coming across a social media video that showed the process of pressing flowers, Krystal’s passion felt a spark she hadn’t felt in a long time – from this spark she founded Peace Petals. 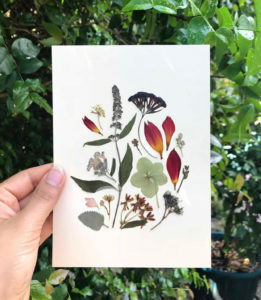 Peace Petals, launched late 2016, is a botanical art business that creates unique art from pressed flowers that Krystal sells at The Owl’s Attic, located on Corrine Drive in Orlando, Florida. 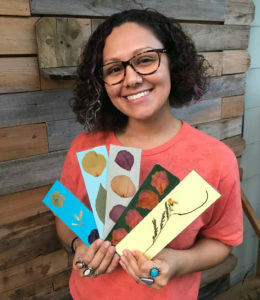 The artwork she creates are both framed pieces as well as laminated bookmarks and she hopes to broaden her work when she finishes her bachelor’s degree in Interdisciplinary Studies – where she studies Humanities and Behavioral and Social Sciences, with a minor in Leadership Studies – at the University of Central Florida this Fall. Krystal uses her artwork as a meditative outlet. 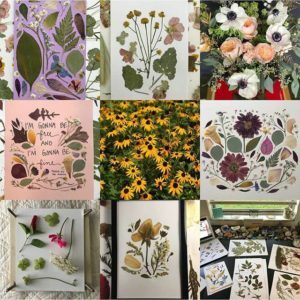 She has struggled with anxiety and depression throughout her life, though when creating artwork for Peace Petals she shares, “I get into a rhythm and a zone when I make my art and I don’t think about much else while doing so.” The reason she named her company Peace Petals is because of the peace she finds from doing the artwork. All of the pieces Krystal produces have a lot of meaning to her. 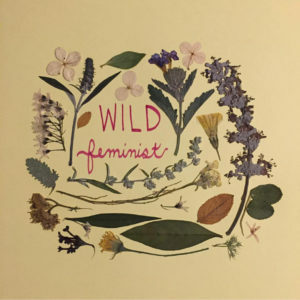 One of her favorite pieces – which she ended up keeping for herself – has “Wild feminist” written in calligraphy and then she placed pressed flowers from Martha’s Vineyard, which is located in Massachusetts where she goes every summer to pick flowers, decorating the powerful message. You can find Peace Petals at The Owl’s Attic located at 3106 Corrine Drive in Orlando, FL. For more images or to follow along as Krystal continues to build her artwork, you can follow her on her Facebook or on her Instagram account. Have a form of environmental expression that you would like to share on our blog? Contact us at [email protected] and share it with The Fleet Family!